One of the leading bingo operators in the UK, Mecca has introduced a call for the Olympics to announce Bingo a sport by Tokyo 2020, summer Olympic Games tournament. Mecca has written an application on behalf of fans to the committee to formally start the process of request to Olympic. Mecca claims that the dexterity, attentiveness, sportsmanship and observation skills needed for the game make number-based entertainment an ideal candidate to be considered as sport. In addition, Bingo fulfils other major criteria from the Olympic Committee when it comes to include new games in Olympic, such as affordability in playing and practicing the game, popularity in huge number of countries, along with simple rules. Lesly Clifford from Mecca added, "To play online bingo successfully, you need proper focus, steady hand and mental agility. Most athletes are keen to have these qualities. All such factors make it a great game and it is evident in the criteria imposed by the committee and the organization is proud to initiate this campaign." They will do everything to show that the hottest favourite British game deserves the category of sports and to be played at upcoming games. The members seem to be confident that the most lovers of this game will be doing everything to make this campaign success when the Olympics starting in 2020 in Tokyo. To join Mecca Club, one has to be above 18 years and the customer of Mecca. The supervision of International Federation is also important to monitor anti-doping elements, in order to make a game an Olympic Sport. For Bingo, it doesn't seem to be bothering. The International Olympic Committee (IOC) has already applied it to declare the bingo an Olympic sport by the next season starts in 2020. 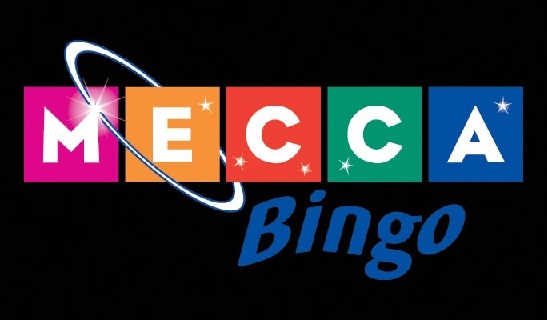 Mecca has written letters of intent while lobbying for bingo to be added in this event. A card game, Bridge, has also been applied for inclusion in Olympics. Despite being the game of intelligence, unlike Bingo, Bridge is based totally on luck and Sports England has refused to recognize this game as a sport because it didn't require any "physical activity". According to the IOC, the process for recognition of sports is underway. Tokyo 2020 has accepted the proposals to include other sports at 2020 Games. The IOC will discuss the inclusion of other games at the upcoming executive board meeting but bingo is not on the list of sports to be mulled over. A Mecca spokesperson added that the process of qualification has not been disclosed and would be discussed with IOC. According to the spokesperson, this game doesn't need training for several months. Mecca has organized a poll where anyone can vote for it to be recognized as a sport in Olympics.